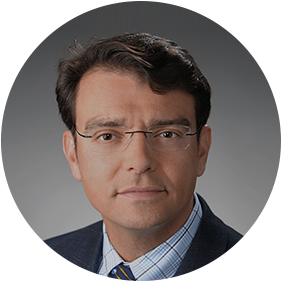 Ilario Pantano is senior director of community service at the Institute for Veterans and Military Families (IVMF) in support of the Programs and Services portfolio. His focus is designing and leading strategic partnerships with federal, state, and community-based organizations, funders and staff to effectively plan, develop, and deliver improved supportive services for veteran families located nationwide. Prior to joining the IVMF, Pantano was a nationally recognized State Director of Veterans Affairs for North Carolina, home to the 4th largest active military presence in America. His advocacy of veteran issues contributed to the creation of a cabinet-level Department in 2015, where he served as Assistant Secretary for Veterans Affairs. Pantano also co-founded and served as Vice-Chair of the “Governor’s Working Group on Veterans Service Members and their Families,” a groundbreaking model for inter-agency collaboration and communication (ncveteransworkinggroup.org). Working collaboratively, Pantano’s leadership helped to grow North Carolina’s veteran portfolio by over $1.2 Billion, one of the fastest growth rates in the country. He and his team were instrumental in cutting veteran unemployment and reducing veteran homelessness via innovative new public/private partnerships to leverage existing services and enhance them with private sector funding, such as North Carolina for Military Employment (NC4ME.org). Pantano and his team created a nationally recognized Resource Guide, companion website and call center (NC4VETS.com & (844) NC4-VETS) to provide veterans a “one-stop-shop” experience. He early-adopted CRM technologies (Salesforce.com) at the state level to accelerate service delivery, accountability and customer satisfaction and he partnered with Duke University School of Medicine Evidence Based Practice Center (Duke/EPIC) to provide enhanced clinical tools and cultural competency support to veteran service providers. A former Marine Scout Sniper, Ilario was born and raised in Hell’s Kitchen, New York, where he graduated from the Horace Mann School and enlisted in the U.S. Marine Corps in 1989. He fought in Operation Desert Storm and led a sniper team in Operation Provide Promise (relief of Ex-Yugoslavia) before graduating from NYU and trading commodities for Goldman Sachs. It was as a media entrepreneur that Pantano witnessed the attacks of 9/11 from the streets of NYC. The building where he had worked (4WTC) was destroyed. Pantano rejoined the Marines as officer and led an infantry platoon in the first fight for Falluja, Iraq (2004). Pantano’s first book, Warlord, was published by Simon & Schuster and recounts his frontline combat experiences in two wars. His second book is on the American Revolution in the Southern Colonies and his numerous articles and profiles have appeared in American Legion Magazine, Los Angeles Times, National Journal, Soldier of Fortune Magazine, TIME Magazine, Washington Post, Washington Times, and the Wall Street Journal. He has provided military commentary on CNN, MSNBC and FoxNews. A husband and father of two boys in a family of avid Crossfitters, Pantano is a 3-gun competitor and IronMan triathlete who still volunteers as a chaplain in the county jail where he lives in Wilmington, North Carolina.